And how much does that affect, anyway? Which almost answers the first question too. Your garden soil probably needs a little help to become the best soil for growing your crops, but how to tip it, and which way, and how far needs a little know how. plus a 4th measurement: Soil acidity or Soil pH. All the tiny gritty bits of soil are grouped into 3 particle sizes: Sand, silt, and clay. While these particles are tiny bits of any number of minerals, most minerals have a “preferred” size that they breakdown to. It’s the mix of bits that makes soil. A soil scientist can hear someone just talking about very sandy soils and know some thing about the sorts of bedrock that soil came from. For a gardener, the size of the garden soil’s particles has everything to do with how well the soil can feed and water your plants. Plants pick up nutrition from soil through a cation exchange. Hmmm. Forget I said that. Picture instead a school bus that can drive only around the outside of the soil particles, and the nutrients as the kids on the school bus. If the soil is made of huge particles (coarse sand), there are not a lot of edges to serve as roads for these school buses full of nutrition. If the soil particles are tiny (clay), the number of school buses moving around is HUGE! Clay is incredibly nutritious soil, though it does have some other issues. Water can only move between the bits of soil, where the air is, and it can only get caught and held when the gaps are the right size. When the soil has so much water that the water is filling up even the bigger air pockets, when that starts to happen, the soil is at ‘Field Capacity’. It’s holding as much water as this soil field can reasonably hold. As water drains through the soil, some of it bonds with the soil particles themselves. As the soil dries out, it stops wanting to share what water it has left. Plants start wilting (hence the name, ‘Wilt Point’). When the soil is filled with small, clay bits: the water cannot move through at all. 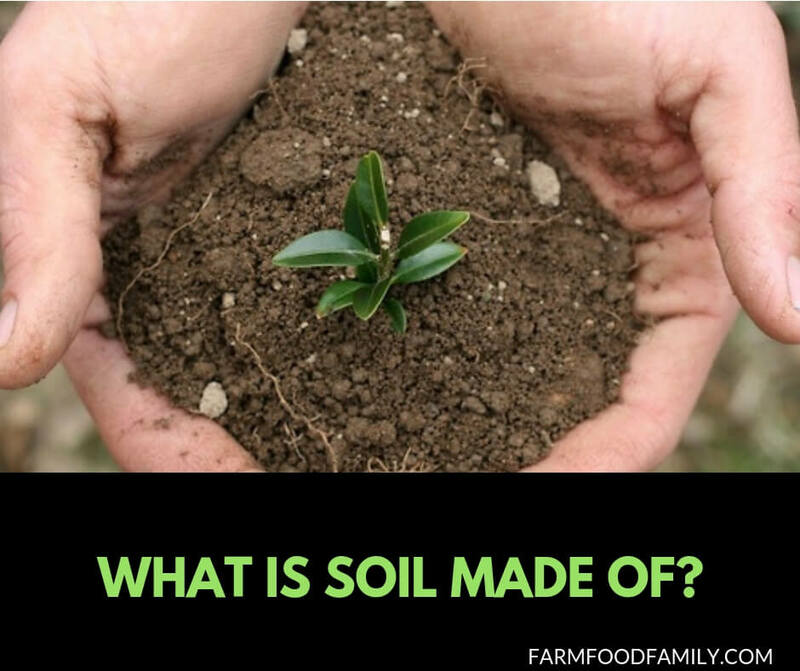 It stays stuck in the upper layers of soil, pushing all of the air out of the soil. When the water does finally move through, there is a period of idyllic air and water balance, and then fairly quickly the soil gets greedy. It’s not that there is not water, it’s that the soil won’t share. The opposite happens when the soil is made of large, sandy bits, the water drains very, very quickly, which is helpful if there is a lot of water, but it’s not long after a rain before that field is thirsty. Cutaway sequence of a plant growing in dirt, roots showing, against a white background. Soils are formed from above (decaying organic matter) and from below (weathering bedrock). These two directions of creation create layers in the soil, known as soil horizons. A good mix of particle sizes is most likely when the soil has some bits from each source. Happily, this is also the most likely to be the most nutritious soil. There will be lots of different nutrients present, but exactly which mix is available for the plants to eat is connected to the soil’s acidity level, measured as soil pH. A lot of the nutrients plants eat up first are those that come from the breakdown of organic matter. This is why compost is so popular on gardens. When it comes to soil nutrients, there is indeed such a thing as too much. Well digested composts create the right mix of organic nutrients to feed and replenish the soil without burning anybody out.